1. Heat butter in a small pan over medium flame. 2. Beat the eggs with milk along with salt and pepper powder well. 3. Pour this into the pan and cook tilting the pan so that there is no liquid left. 4. Turn off the heat and gently stir and turn till all the egg is cooked and it becomes firm. 5. Transfer to a plate. 6. 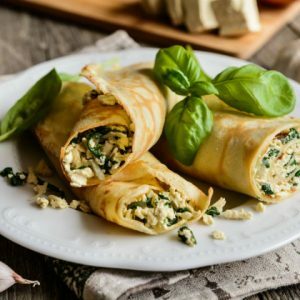 Place the scrambled egg on one bread slice. 7. Top with tomato slices, grated cheddar and lettuce leaves. 8. Cover with the other slice. 10. This makes 2 sandwiches. 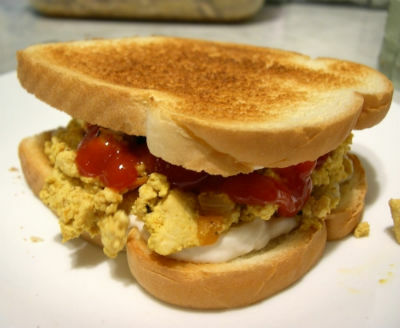 Feel free to comment or share your thoughts on this Scrambled Egg Sandwich Recipe from Awesome Cuisine.